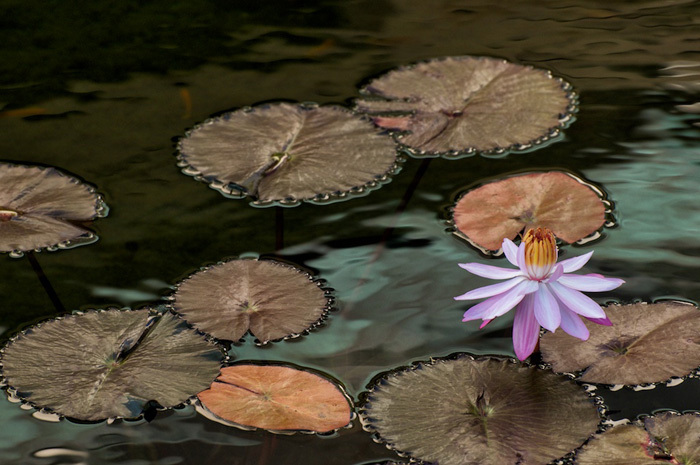 I discovered a beautiful little lilly pond in the Waikiki marina hotel district of Honolulu. I return to this peaceful healing place on each visit. This day there was a single lilly that attracted my attention. Working with wonderful light and reflections on the water I was able to capture this unique pattern of shapes and colors under the a lone pink flower standing tall drawn towards the limited sunlight.